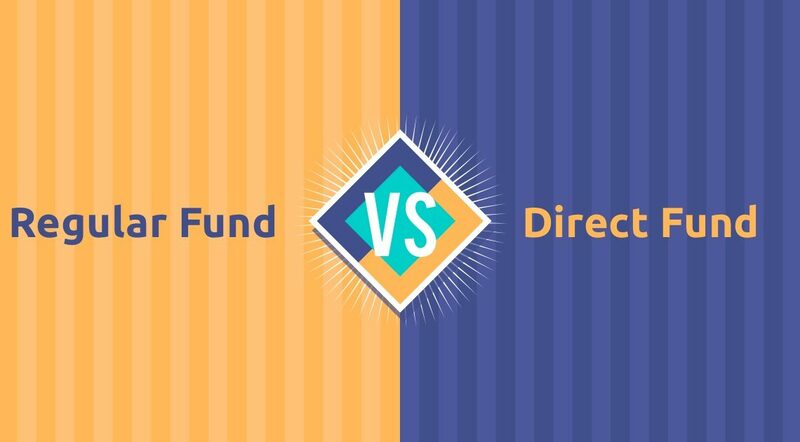 Key Operational Difference: In both the options, you are investing in the same fund, with the same fund manager, who will further invest in the same securities. The difference comes in the way the client opts to invest in/approach the fund. You can either go directly to the AMC of your choosing (direct option) or rely on a professional to procure a fund for you and do the proceedings. (regular option). Expense Ratio: Since the AMC you have approached through an agent has to pay the agent a commission (commonly quoted as “transaction fees”, “distribution fees” etc. ), the expense ratio is higher in case of Regular Mutual Funds. This fee is either declared upfront or charged as hidden costs, i.e. deduced directly from the value of your NAV. This counts as an extra 1-2% in the expense ratio. In direct Mutual Funds these fees are not charged, thereby, bringing down the expense ratio and increasing your NAV. Direct plans have no such fees as there is no middle man to be paid. Returns: Apart from the increase in NAV with the reduction of the expense ratio, returns are further increased when this added amount is compounded. The extra fees you are paying to the agent, when compounded over several years, can lead to a sizeable amount of money which would be lost in case of regular plans. 1. Investment Recommendations: Some people would choose comfort over having to put in the time and effort to research the best choice of Mutual Funds for themselves. Agents provide a way to escape that and let the professional make choices for you. 2. Periodic review and rebalancing: Again, you are too busy or for any other reason unable to track your investment an agent could be of great help as they do it for you, also recommending action. 3. Portfolio Management, facilitating investment, etc: Agents facilitate the investment process by dealing with AMCs themselves and saving you time in exchange for money. Of course, the benefit of all these is contingent upon the skill of the agent, so if opting for the Regular Plan, make sure you trust your agent. Others willing to put in the time and effort to choose what’s best for them, or alternatively hiring a Mutual Fund Advisor instead of an agent, should go for the Direct Plan.